Jared Unzipped: You Can Find Me at the End of the (Reading) Rainbow. You Can Find Me at the End of the (Reading) Rainbow. What a long, strange trip it has been. When I left you in 2016, I had ceased daily publication to Jared Unzipped. Having completed my original challenge of writing one article every day for an entire year, my goal was fulfilled. In fact, I continued on with my task long after I’d completed it; I published something new daily for over a year and a half! I finally reached a point where I felt satisfied with my body of work. One day, I simply decided enough was enough. Having proven to myself that I could complete such an arduous challenge, I abruptly stopped. Writing was in my blood, that much I knew for certain. Leap ahead to today. As I begin to write this article, I’m sitting behind a desk at the Gibsonville Public Library. Not as a patron, but as a library assistant. A few weeks ago, I began working here. Much to my enjoyment, the position has been wonderful so far. My fellow library staff members have been nothing but welcoming and kind. It’s genuinely a dream job for me, having always desired to be a librarian since a young age (amongst other dream jobs: comic book artist, archaeologist, paleontologist). I didn’t accept this position solely for monetary gain, though. My at-home business as a collectibles dealer shall continue, largely running on auto-pilot. I begin classes at the University of North Carolina – Greensboro in the fall in an effort to complete a Masters of Library Science degree. It’s about time I reached a major career milestone in my life and became a librarian. As you can imagine, this position at the public library is a valuable learning experience for me. From my youth, I have spent a large amount of time in libraries, both public and within academic settings. I worked as a volunteer library assistant all throughout my middle and high school years. That was seventeen years ago, though. Times have changed. Libraries have stepped into the twenty-first century. That’s where I have room to grow and learn. My understanding of how libraries function is a bit… antiquated. Card catalogues have left their dusty old storage shelves behind and become completely digitized. Books have taken a backseat to more immediate forms of media. The internet dominates every aspect of social interaction. Children simply don’t read as many books as they used to. And yet, that’s not to say that they have stopped learning. The method by which the majority of people absorb information has merely changed. Libraries still fulfill a necessary role within the community. A public library provides for the common good. Classes will begin in August for me. I hope to have the course regimen completed within a few years time. I have no plans to leave this library any time soon. The experience I aim to gain here shall surely last me a lifetime. I am already comfortable with using a digital catalogue to transact items with patrons. Thankfully, I’ve also found my first real niche opportunity to contribute to the library itself. I’ve begun analyzing the history section and looking for worthwhile additions to add to our book collection. This is a small, but growing library. I hope to expand my knowledge just as this library expands its collection. For those of you wondering, history is the 900’s within the Dewey Decimal System. See, you learned something today after all! I’d like to write about my experience as a library staffer, as well as my upcoming classes. This looks to be a memorable period in my life, one that I wish to permanently record and share with others. 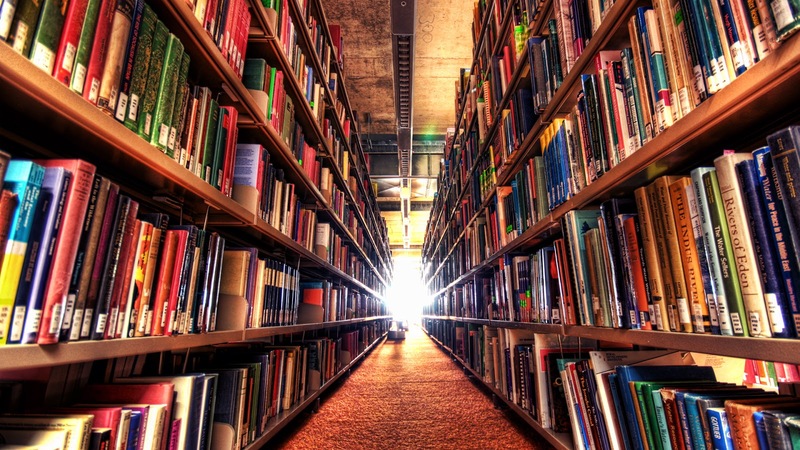 Look for new articles periodically about random library-related topics. What authors are popular? James Patterson, or whoever is ghost-writing for him these days. What are kids reading these days? It’s all about Big Nate. What do most people use the library for anymore? Duh, the internet. What’s the best part about working in a library? Helping people learn new information. What’s the worst part about working in a library? More people don’t come by. What’s the most surprising aspect so far? Libraries have taken over the role of video rental stores. Thanks for sticking with me and I look forward to answering your questions about my progress! So sorry for all your illnesses! i hope you get better soon. So good of you to still find the time to blog for your readers. we really appreciate it. Thank you! It's hard to have any complaints about this place. It's easy to get a drink at NYC venues since they actually keep enough bartenders working at once, and you'll almost always find a place to sit. I love the vibe, the area, the people and the food at this place.